Does your countertop look like mine right now? Piles of (too large) zucchinis scattered about in baskets (and spilling out all over the counter)? 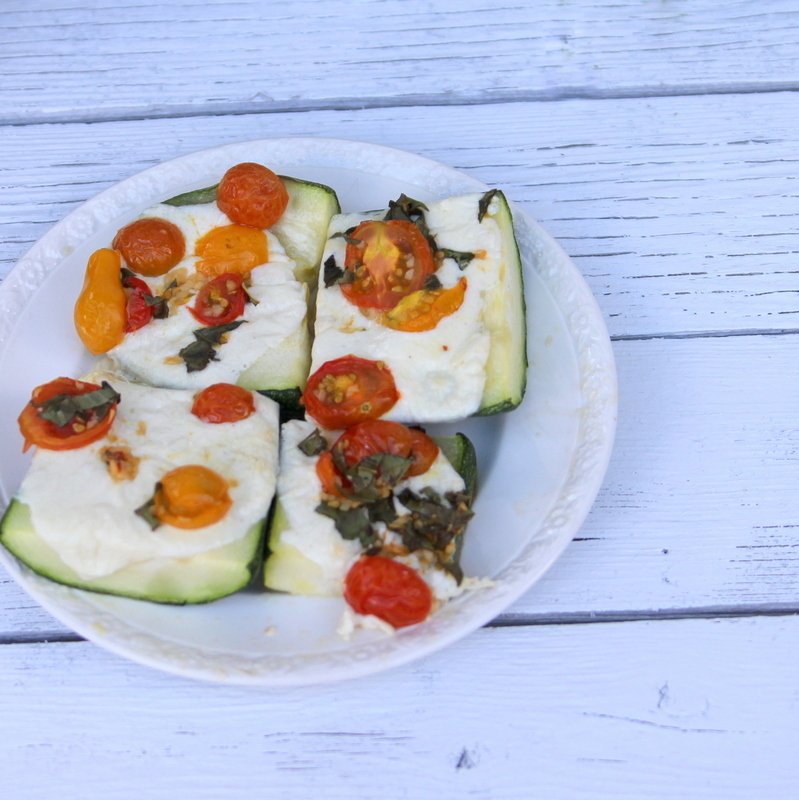 I’ve been adding grilled and sauteed zucchini to every dinner! 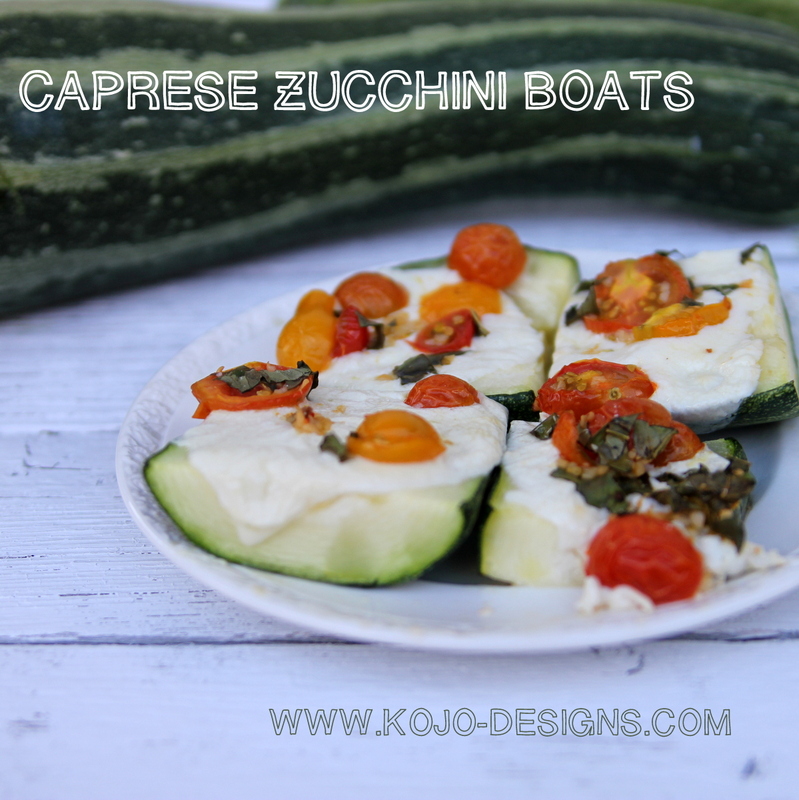 And while my kids are still loving it (thank goodness), these caprese zucchini boats are the perfect way to change things up (and still use some of our zucchini stash). Cut your zucchini in half, lengthwise, and then into little ‘boats’ (twelve fit onto my cookie sheet). Make a mixture of halved cherry tomatoes (I think I used about twenty), a couple minced cloves of garlic, and seven or eight thinly sliced basil leaves. 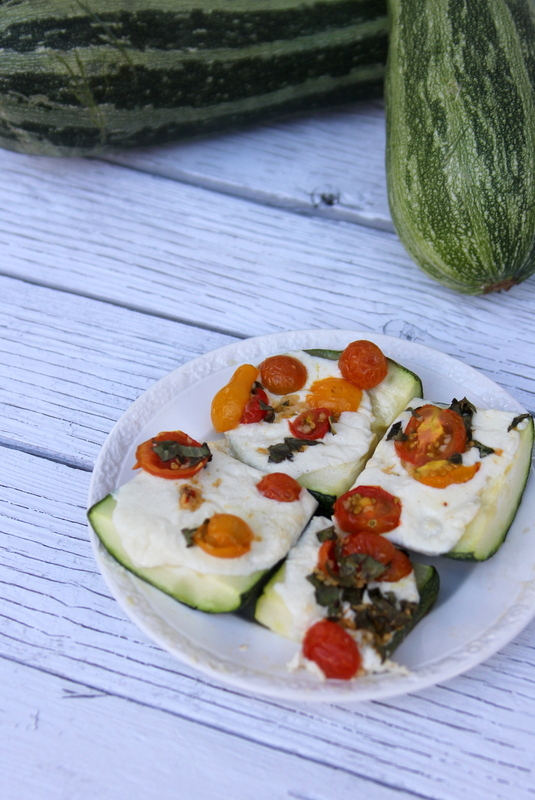 Drizzle with the zucchini boats with olive oil. Add a slice of fresh mozzarella and a scoop of the tomato mixture to each boat. Add a sprinkle of coarse salt and bake at 350 for 30 minutes. 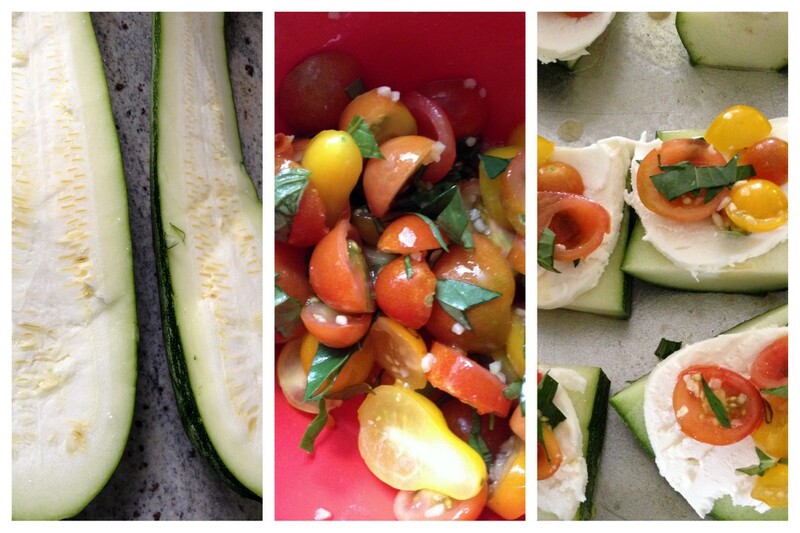 ps- Any favorite zucchini recipes that you want to pass along? I just posted a recipe for Delicious Roasted Squash this morning! Here you go! Zucchini bread or muffins is a favorite in our house or on top of a homemade pizza or in a pasta dish. Ooooh, love that- all three really. Perfect…so inspired to make this as a side for dinner tonight. woohoo! One of my favourite end of summer recipes includes shredded zucchini in vegetable pakoras. Yum! I think we’re having these tonight too Alli! I love the pakora suggestions- thanks!